The tan is a little darker than expected however it matches my duvet cover perfectly so will keep. This is a dark tan background with green stripe, green is dark but not hunter green dark. Depending on what you put it with it will be very country cottage style. Muted bronze green stripes on a pale khaki background give your bed a "pop" without overwhelming the rest of the room. 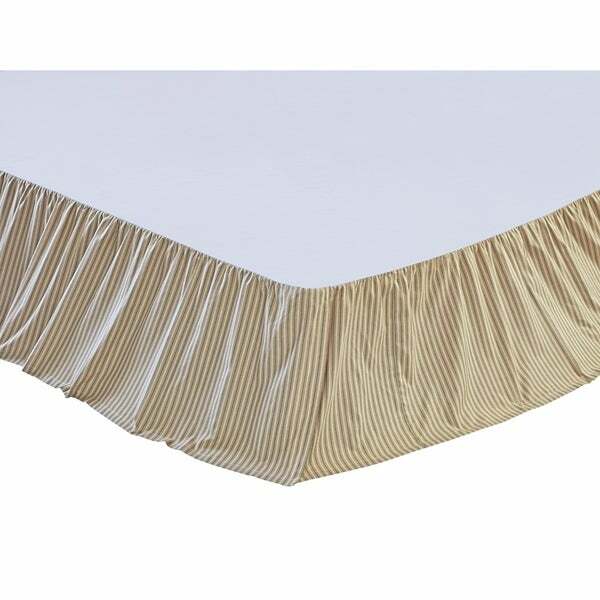 The Prairie Winds Green Ticking Stripe Bed Skirt is made with 100% cotton.